If you are considering getting divorced in Brooklyn, New York, you may wonder what your next steps should be. While it is possible to file for divorce without the assistance of a divorce lawyer, doing so means that you would be entirely responsible for protecting your rights and your interests. Lack of knowledge about your rights can result in the loss of important benefits and options when it comes to your divorce. The decisions you make during your divorce can impact your children and your finances for years to come. Speak to Elliot Green Law Offices, Brooklyn, New York Divorce lawyers who can take you through the steps you’ll need to take to file for divorce in New York. File all paperwork. If you and your former spouse agree about how to divide your property, assets, and debts, you can use the New York Court’s DIY Uncontested Divorce Program. That said, it might still be important to speak to a lawyer to determine whether you are dividing assets, debts, and property in a way that is fair to you and your former partner. If you have children, you’ll use the paper Uncontested Divorce Packet. If you have children, you’ll be required to additionally submit a parenting plan to the court and the case must be reviewed by a judge. In order to file for divorce in New York, you’ll need to meet the residency requirements and need to choose grounds for divorce. If you have questions about these requirements, it may be wise to speak to the Elliot Green Law Offices, family lawyers in Brooklyn, New York. Uncontested divorce documents should only be used if you already agree about parenting time, and the division of property. What if my ex and I don’t agree about division of property and the parenting plan? Consider speaking to the divorce lawyers at the Elliot Green Law Offices in Brooklyn, New York today. You may still be able to ultimately use these packets. Your lawyer and your former spouse’s lawyer will likely meet outside of court to try to work out an agreement that fairly divides your property, debts, assets, and considers other issues like alimony and parenting time. Our firm can help you understand the difference between marital property and separate property, help you understand what the courts would consider fair when splitting property, and assist you with resolving these questions without litigation. However, if litigation is needed, the Elliot Green Law Offices can assist you with filing for contested divorce. You’ll file a “Summons with Notice” or a “Summons with Complaint.” You’ll have to pay the fees and you’ll also submit your divorce agreement with the summons, if you have one. Your spouse must receive the documents. The courts will not assume that you’ve told your former partner you want a divorce. The papers must be formally served to your ex. Your former spouse must respond. Sometimes your ex might disagree to certain terms you set forth, and sometimes your ex won’t respond at all. After a period of time from service, the court will set a date. Court date and judgement. If you and your ex are able to agree to all issues outside of court, during your court date, the judge will likely issue a judgement. 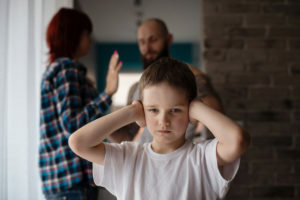 If you disagree about issues like child custody, parenting time, alimony, or division of debts and property, these issues may need to be heard by a judge. Many of the aspects of your divorce can be settled outside of court. The Elliot Green Law Offices are family lawyers who can work with you to help you settle these issues without taking them to court. Taking issues like child custody or parenting time to court can sometimes result in an outcome neither party wants. Speak to a family lawyer, like the Elliot Green Law Offices in Brooklyn, New York to better understand your rights and options. The divorce process involves compromise. Making the right compromises can make all the difference. Divorce can be one of the most stressful events anyone can ever go through. Whether you are the one making the decision to file, or you have just received a summons and are wondering what your next steps should be, speaking to a lawyer should be your next steps. Even if you and your partner are just starting to discuss divorce, it can be helpful to talk to a lawyer to understand the financial and legal implications. In addition to the emotional fallout, you might be facing the stress of making important decisions regarding child custody, parenting time, and dividing property and debts. Leave the legal aspects to the Elliot Green Law Firm, family lawyers in Brooklyn, New York so that you can focus on healing and moving forward with your life. Contact our firm today to get help with your divorce, every step of the way.